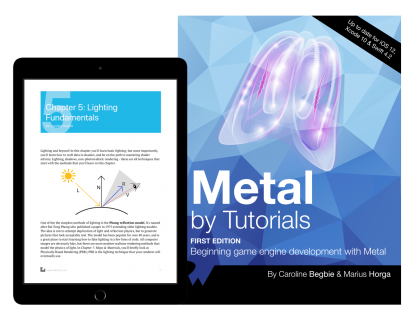 Home Resource Metal by Tutorials: New Chapters Now Available! If you aren’t familiar with Metal, it’s Apple’s framework for programming on the GPU. The framework allows you to build your own game engine where you can create 3D scenes and build your own 3D games. This book will introduce you graphics programming in the trusted By Tutorials style. 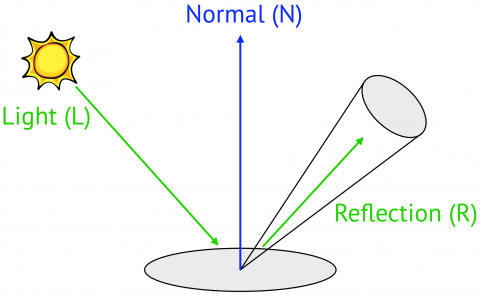 Chapter 11, Tessellation and Terrains: In Chapter 10, “Fragment Post-Processing,” you learned how to detect a rectangle, how to take advantage of the Vision framework and how to turn a detected surface into an ARKit plane. However, you left the plane generation chapter with one outstanding issue: it’s not oriented correctly. You’ll fix that in this chapter. You’ll also “upgrade” the rectangle detection with QR code detection and you’ll add some user interaction, too. Chapter 12, Environment: Learn about sjyboxes, cube maps, image-based lighting and more as you add some surrounding features to your virtual environment.